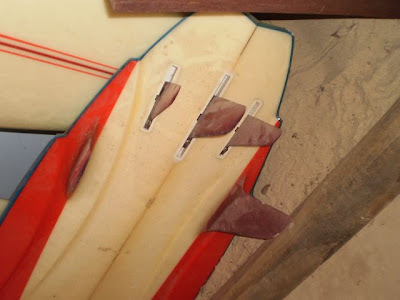 I visited Scott Dillion's surf museum on a trip up the coast recently and was fascinated by what looked like a 2010 model 5 fin set up short board getting dusty up in the rafters. 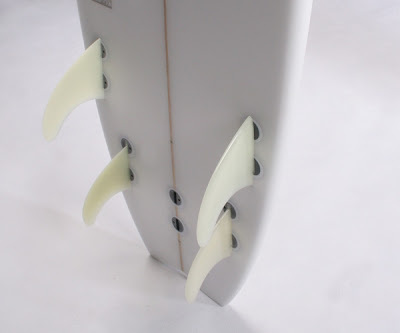 It looked similar to the 'Robber'- Rob Machado's Channel Island model made for the movie 'Sprout' and others like the Retro Quad that can come with 5 fin boxes so they can be ridden as a twin fin, twinzer, thruster or quad. 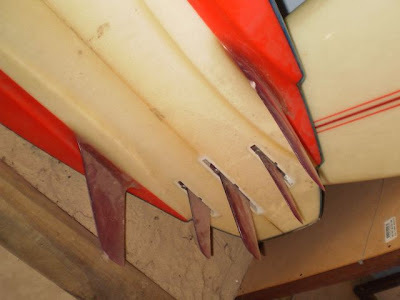 The 80's model was fitted with nice stiff 'Jet' fins that would give it a little less drive than modern fin templates with more rake but make it look soooo much more futuristic. Less tip flex – more responsive, more speed and drive. 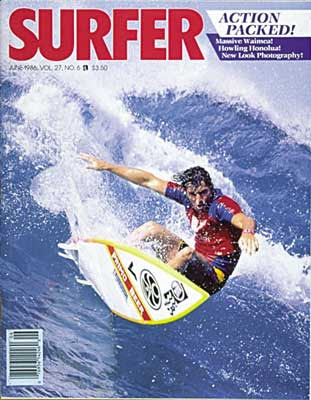 The shaper was obviously channeling the future with with this piece of 80's innovation period design. 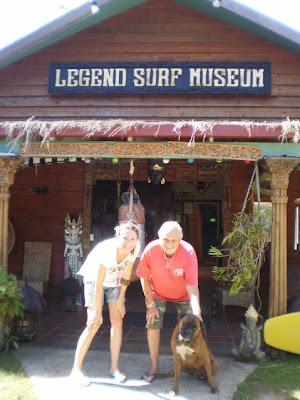 So much so he has even predicted the soon to come rise of Canada as a world beating surfing nation. 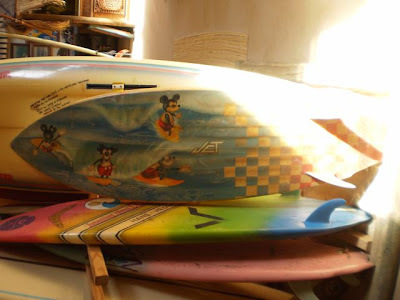 I was also very impressed by Scott's son's first surfboard, a Sky twin fin with pink checker board and classic Disney copyright infringing Mickey Mouse spray and one of Hans Hedemann's own Tri Zap template competition boards.